Sitting at the apex of California’s Central Valley region, Sacramento is one of the most important cities in California. As a crucial link between the Pacific Northwest and Southern California, Sacramento’s crossroads location means the metro area is a mecca of sorts for forklift operatorsForkliftCertification.com has been a preferred source for quality & affordable forklift training in Northern California for years. And our 3-tier training program, based on your specific training needs, offers customized content for a total training experience. Our three training packages offer a complete, comprehensive overview of important safety regulations and best workplace practices as established by the U.S. Occupational Safety & Health Administration (OSHA). With our forklift training in Sacramento, your employees are valid throughout the Golden State, and all over the United States. Employees and employers alike use ForkliftCertification.com to gain OSHA compliance, improve workplace safety, and create more efficient & productive job environments. WHY GET A FORKLIFT CERTIFICATION SACRAMENTO? Simply put, forklift training in Sacramento is the law. OSHA requires that all forklift operators in Sacramento (and all over the U.S.) have the skills and knowledge necessary to operate any powered industrial truck. Constant cargo transports, endless shipments, and busy warehouses are a staple of daily economic life in Sacramento. Despite significant challenges, the California economy remains strong. If you hire forklift operators in Sacramento, you need workers with a forklift certificate. Properly trained operators are best equipped to recognize and avoid accidents that can lead to injuries, fatalities, and equipment damage. If you want to land the best forklift employees in Sacramento and enjoy an accident-free workplace, you’ve come to the right place. 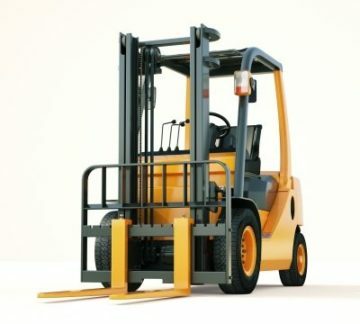 ForkliftCertification.com is ready to help you today with our forklift training in Sacramento! Sign up today! Trained operators in Sacramento can find various positions needing their skills, including forklift operator, dock worker, warehouse worker, forklift mechanic, construction worker, and warehouse/project manager. There are countless great companies always looking for trained forklift operators in Sacramento, like Penske, Blue Diamond Growers, CEVA Logistics, Rite Aid, and much more. But to get the job you want, it all starts with forklift certification in Sacramento. Sign up today and take your career to the next level! When you’re just starting in your forklift career, you don’t need just any forklift training program. You need one that is comprehensive and follows all OSHA regulations and guidelines for training requirements. A prospective employer will look for OSHA compliance on your resume and will ask you about it, so making sure you invest in an OSHA-compliant program will set you up for the best future. It will also ensure you’re the safest and most prepared on the job. Additionally, the advantages of OSHA-compliant Sacramento forklift certification work for employers, in addition to employees. With potential OSHA fines from both California state and federal OSHA investigations, crippling penalties and untold legal costs are always one bad accident away. Avoid them altogether and leverage the considerable advantages of FLC forklift certification in Sacramento now. FOR THE BEST FORKLIFT TRAINING IN SACRAMENTO, CONTACT FORKLIFTCERTIFICATION.COM TODAY! ForkliftCertification.com offers the number one online forklift training available. The program includes everything workers need to know to operate forklifts, perform inspections, and avoid accidents, along with all OSHA standards. The courses are self-paced and can be completed from any device with an internet connection. You won’t have to travel to an offsite facility, pay for a teacher, or pay hundreds of dollars. You can get the highest quality forklift certification Sacramento and save time and money by choosing ForkliftCertification.com. FLC offers a Training Kit, Train a Trainer program and also a Bundle Package for terrific savings. With each course, you’ll get instant access to official credentials, free templates and the convenience of USB access to handle multiple workstations. For information on how to implement your own forklift safety program, just give our office a call today. We offer the best nationwide online training system, all at a price that’ll benefit your bottom line big-time. Please visit the FLC contact page for further information, or give our Sacramento OSHA forklift training consultants a call at (888) 278-8896. Thanks for considering ForkliftCertification.com as your #1 Sacramento forklift training provider. We look forward to elevating your company’s safety standards today. Through our Bundle Package, Train a Trainer and Training Kit, we can handle your company’s needs and give all your workers the forklift certification Sacramento they need. Forklift certification in Sacramento doesn’t have to be a headache – or expensive. Contact us today and experience the FLC training difference! become a forklift safety trainer?